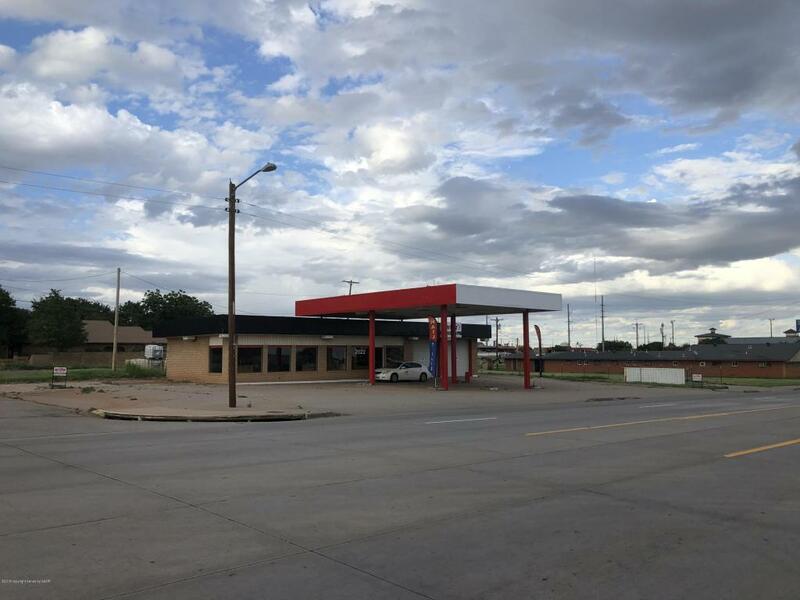 A commercial building in a great location on the north side of US Hwy 287, at the corner of US Hwy 287 and Oak Lane, just one block west of the intersection of US Hwy 83/62 and US Hwy 287. 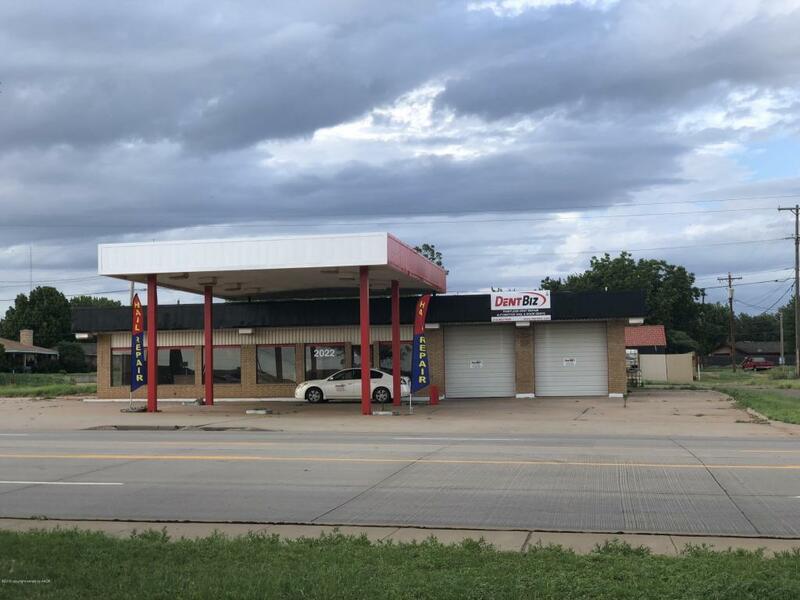 The property currently has 2,204 square foot including, large retail/office space, two restrooms, two auto service bays, and a 1,344 square foot overhead canopy all located on a 12,865 square foot corner lot with concrete parking. (All square footages are per Childress County Appraisal District (CCAD). With seven large display black metal framed tinted windows, matching front door and two overhead metal doors to the bay, the curb appeal could almost immediately be enhanced dramatically with just priming and painting the fascia and overhead canopy with a new color. 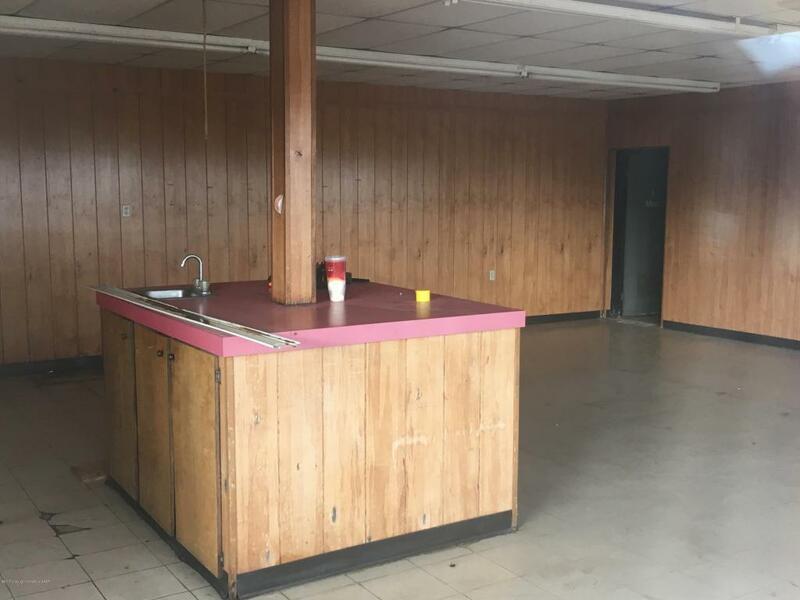 Interior needs some work.As you can see, the property is located in a high traffic area, with easy access and is highly visible being in the core of the shopping centers. It is between the Days Inn and Tradewinds Motel, with the Childress RV Park across the alley, and within in a block or two of Childress Inn, Quality In, Econo Lodge and CEFCO Truck Stop/Convenience Store and Subway. To the south, across US Hwy 287, is Pilot Travel Center and the Greenbelt Plaza shopping center that houses Tractor Supply, United Super Markets, Dollar General, Aaron's Rental Center, Pretty Nails, J's Liquor, Wellington State Bank and Spears Cleaners. The Pointe shopping center houses Lucido's Italian Express, Sun Loans and Cricket Wireless. Within a short walking distance (one or two blocks) is Walmart, Murphy USA, Arby's, Taco Bell, Sonic, McDonald's, Madison Chase Apartments, Hampton Inn and Holiday Inn Express. Across US Hwy 83/62 to the east is Golden Chick and the Gateway Center shopping center, that houses Clarendon College, First Bank & Trust, Verizon, Keys Dentistry, F3 Fitness and Broadway Liquor. 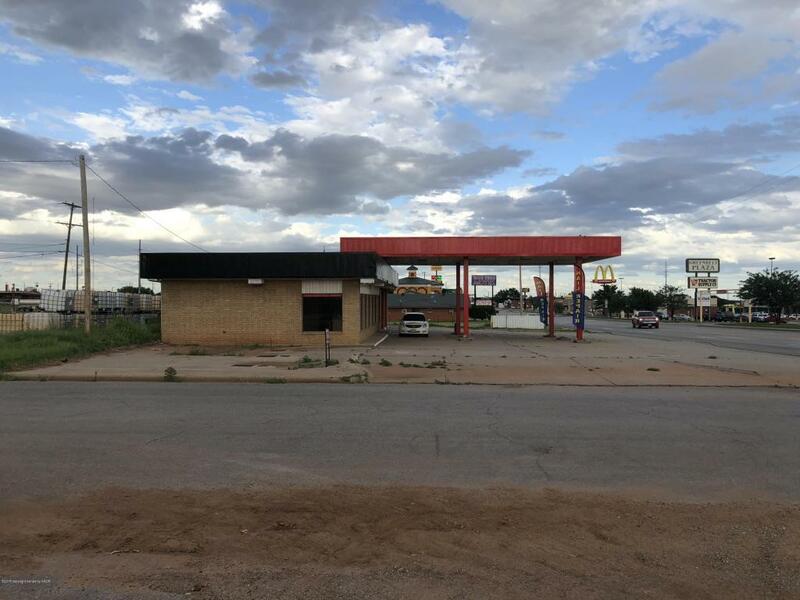 The property, zoned commercial could be used for a variety of purposes. Previous uses of the property were retail and service station/auto repair. The five underground storage tanks (UST's) have Cathodic protection in place. Property is being sold As Is, Where Is. Buyer is recommended to do their own due diligence in verification of square footages and to address any environmental concerns. Legal Description: The south 82.8 feet of Lots 20-24, Block 1, Country Club Addition to the City of Childress, Childress County, Texas (per CCAD). Childress is located at the crossroads of US Hwy 287 between Dallas and Denver and US Hwy 83/62 between Abilene with Interstate 20 and Shamrock with Interstate 40. Be sure to check out the Childress Economic Development Center website for additional details about the diverse and progressive economic and business climate of Childress. Serious Qualified Buyers can contact Chad for more detailed information. NO TRESPASSING. PLEASE DO NOT ACCESS PROPERTY WITHOUT BEING ACCOMPANIED BY LISTING BROKER. As with any Exclusive Listing Agreement, owners are not to negotiate with any prospective buyers, but to refer all prospective buyers to the Listing Broker, so please do not contact any of the owners directly. Please direct all questions to Listing Broker. This property is not for Rent, not for Lease and Owner Financing is not available. Buyer's Broker must be identified upon first contact with Listing Brokerage Firm and must accompany buying prospect on first showing.